Glad FisherDad had a good father daughter trip! They are special. Sounds like a wonderful adventure & perfect father/daughter time! Those flies in that box are very special to me, and I almost hate to fish with them. But, you'd be very sad if I never fished them so out of respect for you, I'm using them as intended. And from my perspective, there's nothing "average" about you in any way. This might be your first comment ever posted on my blog... how nice! Hope all is well in the Westerson Household. We'll talk soon. Mary and I enjoyed your adventure with dear Emily! Thanks so much for sharing your trip with us. You are a Great Dad!! I wrote a paragraph a couple days ago, but couldn't figure out how to send it. I hope this makes it through. Spring Valley State Park was on my short list for next year's vacation. I've never really thought about the Ely area but do you think it might be worth the few extra hours driving. We like both Spring Valley and Pine Valley but going somewhere new has a certain appeal. Great Basin Nat Park is also in that area I think. I assume you are not the Ron from Santa Barbara since he has fished Comins outside Ely; in other words, you’ve never been north to Ely. That said, the value of the Ely area is that it has many more attractions (fishing, state and national parks, and even museums) that can hold the interest of both children and adults. If you camp in a trailer or motorhome you might like the KOA campground which is 3 miles outside Ely on US93 (which overlays with US50 and US6 on this stretch). The elevation at the KOA is about 6,400 feet, but in the hottest part of summer the temps there can reach well into the 90s. If you want a little more seclusion, nature and cooler temps, Cave Lake State Park is the ticket. Cave Lake’s campground is 15 miles outside of Ely (the paved turn-off for Cave Lake is just 4.5 miles beyond the KOA on the same highway). Cave Lake’s main campground has full bathrooms and showers to boot. The main campground in the Park sits slightly higher at 7,300 feet, and with considerably more trees and mountains to shade yourself from the hot summer sun. Northern Nevada Railway Museum is in the city of Ely, and you can easily spend all day exploring the rail yard and riding the trains. Lots of rich mining history related to the railway due to the old Kennecott Copper Mine right next door in the town of McGill. White Pine Public Museum is also in the city of Ely and is surprisingly stimulating as it has a little something for everyone. Easy to spend an afternoon in this little gem. Cave Lake has a little boat dock like Eagle Valley. Lake is routinely stocked with rainbows, but there is still a resident population of wild brown trout as well. Fish over 12 inches in this lake are a pleasant surprise. Comins Reservoir, 9 miles outside Ely, also on the same stretch of US93, has some great rainbow fishing, even from the shore. There is a dirt boat launch site, but it can handle just about anything. 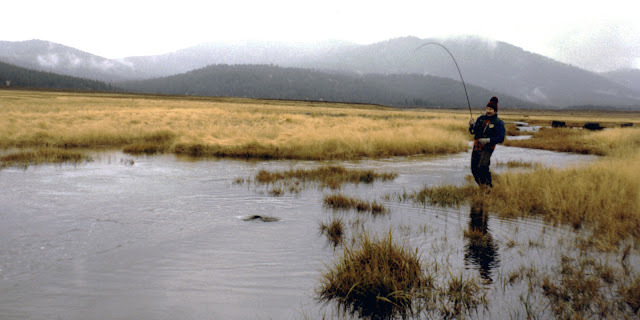 Here you can expect to catch lots of rainbows in the 15 to 20-inch range, and an occasional trout over 20. Ward Charcoal Ovens State Historic Park is located about 20 miles outside Ely, again the same stretch of US93. To be honest, I’ve not visited this park yet, but I know than many have. The ovens here, like many throughout the west, were built to produce charcoal out of wood for the nearby mining smelters back in the day. Illipah Reservoir is about 40 miles west of Ely on infamous US highway 50, once dubbed “America’s loneliest road” by Life magazine in 1986. Illipah has a rustic campground, but it’s attraction is the fishery and nearby historic Fort Hamilton. Many trout in Illipah survive to grow 12 to 17-inches, occasionally longer. Like Cave Lake, wild browns do inhabit the lake as well. 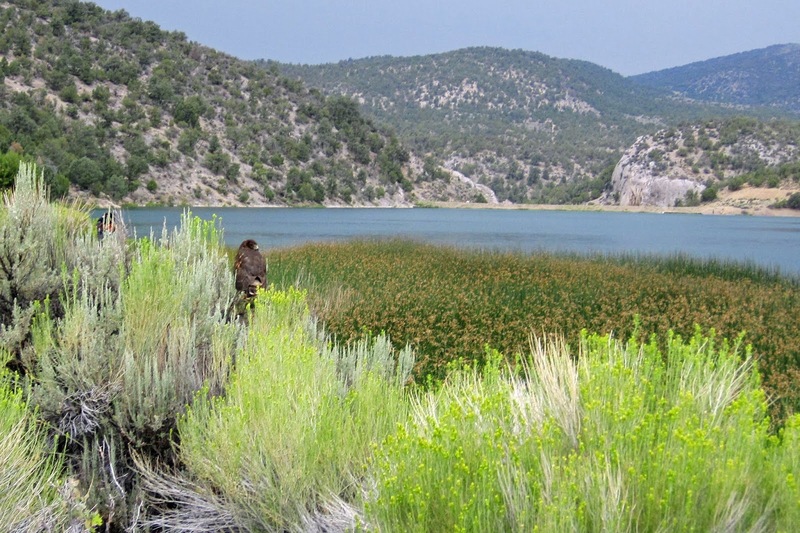 Probably the most well-known attraction near Ely is the Great Basin State Park. Taking US93 east again, and then US50/US6 over the pass in the Snake Range, will get you into the town of Baker, the gateway to the GBNP. Lehman Caves and Wheeler Peak are the most photographed attractions in the park, but there are many creeks and alpine lakes to fish, plus the bristlecone pine trees. Traveling from Ely, the 140-mile round trip makes this a relatively easy day trip. BTW, the park has a simple restaurant and gift shop next to the Lehman Caves. So, I heartily recommend the Ely area. It’s well worth the extra travel time especially if you are camping 3 days or longer; so much to see and do. I feel sorry for Nevada outdoor lovers who’ve never visited the Ely area. No, I'm not the Ron from Santa Barbara, I guess I would be Ron from LA or something like that. I've been to Spring Valley several times but that's as far north as I've gotten. After I read the blog on Cave Lake I looked it up on but it seemed pretty similar to Spring Valley. With all your enthusiasm and details for the area I'll definitely have to reconsider. One concern was that most of the campgrounds appeared to be pretty exposed with very little shade. We're tent campers and don't like open sites. The variety of water bodies in the area is a definite plus. As are the museums, though my kids are pretty young for that sort of thing. Yes, even at over 7,000 feet the trees at Cave Lake SP campgrounds are still pinion and juniper (similar to Spring Valley SP). The only shade you get from juniper is from their lateral shadows. When pinions get 20 to 30 feet tall they can provide decent tent shade. The primary Cave Lake campground is on a hillside, so that also seems to impact shade. But then, the need for shade depends upon the time of year. There are primitive campsites father up Steptoe Creek in the aspen and conifer forest that might be neat alternatives. Another option is to take US93 all the way to US50 right past Pioche and Spring Valley SP, and then US50 over the pass to GBNP. You’ll need to reserve a site or get there in mid-week to find one, but those campsites are gorgeous with awesome views of Wheeler Peak. Fishing action won’t be as good as Cave Lake or Spring Valley, but your family really needs to camp GBNP at least once. I’ve camped there a half-dozen times, most of which were before it was a National Park. And if you want to take the youngsters lake fishing but don’t want to hike into one of the two fishable alpine lakes in GBNP, remember a "round trip" between Ely and GBNP is still only a 2 hours. Just reverse the plan: camp in GBNP and visit/fish Ely one or two days (i.e., visit museums and/or fish Cave Lake and Comins Reservoir)… just a thought. If you didn’t do so, cut/paste this URL to my sole GBNP post (or search my blog for "Great Basin State Park"). All the best to you and the family, and if you go please post a note about your experience.